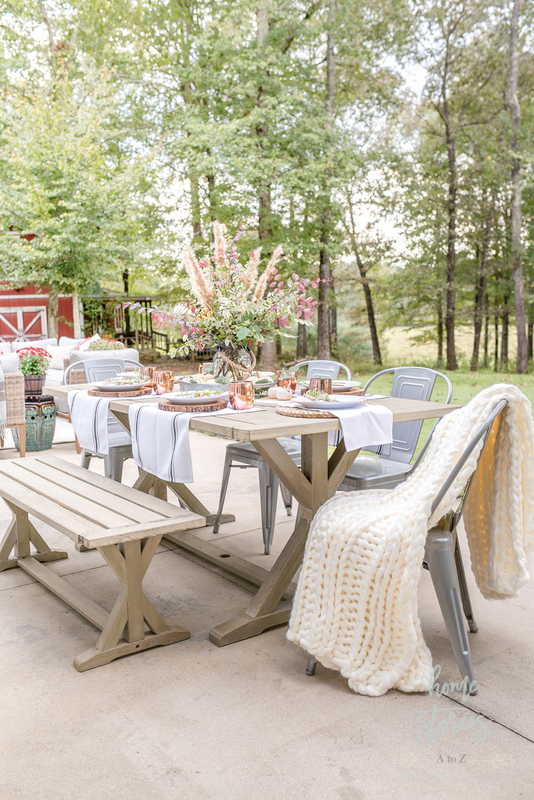 Every year I enjoy sharing with you products I am currently loving and gift ideas I adore! Today I’m teaming up with an A-list group of bloggers to bring you our top gift recommendations for 2018! You can find all of the links to the gift guides at the end of this post. Gift ideas range from home decor, to cleaning products, to fashion and beauty finds! Let’s go shopping together! I’m only listing items below that I own and LOVE! I’ve used affiliate links throughout, so if you want to check out the products simply click on the links to shop. 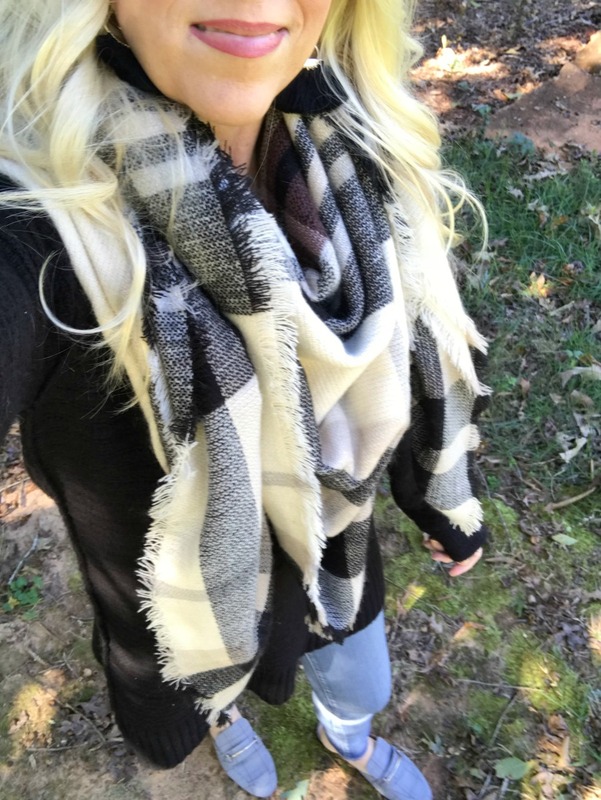 I bought this Chunky Knit Blanket on Amazon last year and LOVE it! It’s so soft, gorgeous for styling, and even better for cuddling under. I have so many throw blankets I could open a store, but this one is currently my fav! I bought my wood chargers at Walmart a few years ago, but it looks like they are currently sold out so I’m linking to one on Amazon for you that is identical but has feet on the bottom. 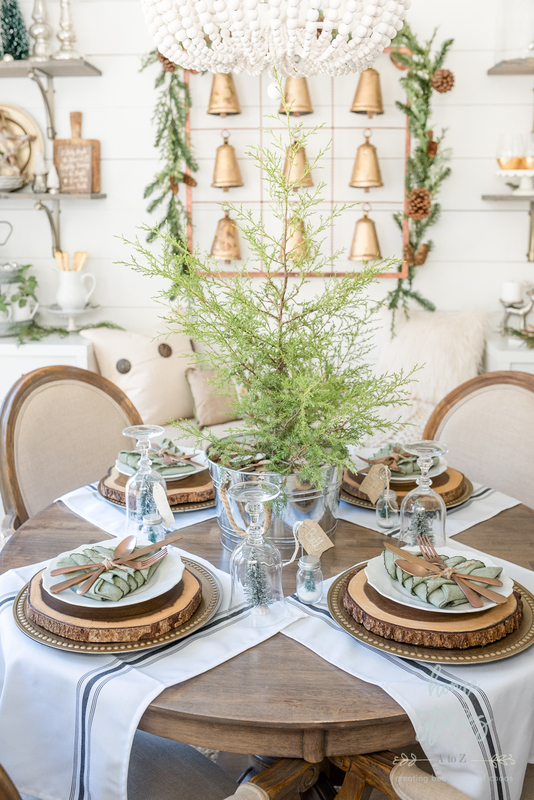 I have used these wood chargers on so many tablescapes over the years! In fact they are in the picture above and the picture below. They are versatile and add a beautiful layer of texture to your table. This bread box resides on a ridiculous number of kitchen counters in Blogland! But call me basic because I absolutely love it! It holds a ton of bread, looks cute, and keeps my counters from looking cluttered. Oh and look, there is a wood charger again! Told you I love those things! My floor sticker tiles should get an honorable mention here! They are custom-designed peel and stick floor stickers from a shop on Etsy, and I love them! They have held up great so far, but I’ll warn you that they are not cheap. 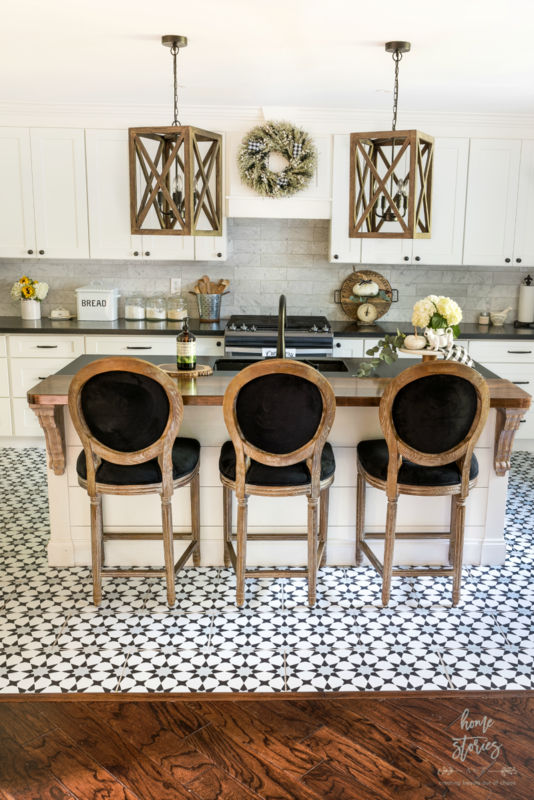 Going this route to update your flooring is more affordable and convenient than ripping out old flooring, but more expensive than they should be for glorified stickers! Next to my Roomba, which I also totally recommend, this is my favorite little inexpensive, on-the-go vacuum. 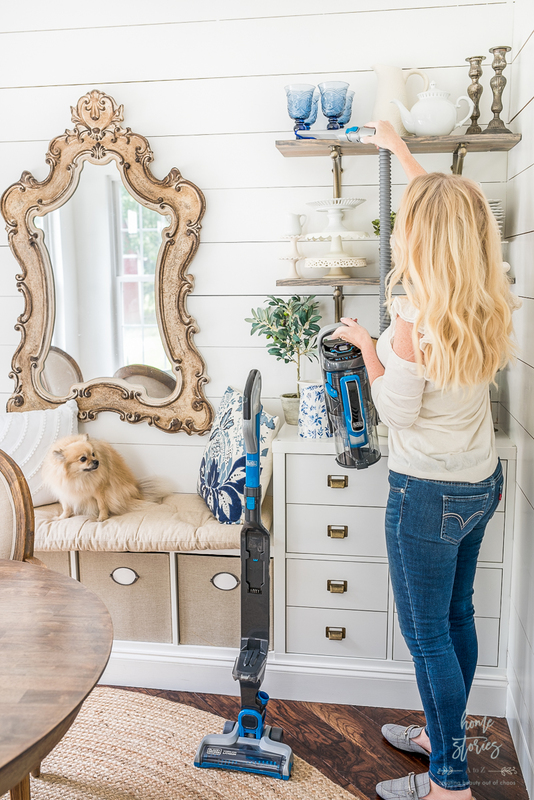 Having a cordless vacuum is a game changer and this guy is lightweight enough that everyone in the family can easily use it. It’s great on stairs and wonderful for quickly “dusting” styled shelves. With three animals and three boys who sometimes act like animals, I use it almost daily in our high traffic areas. 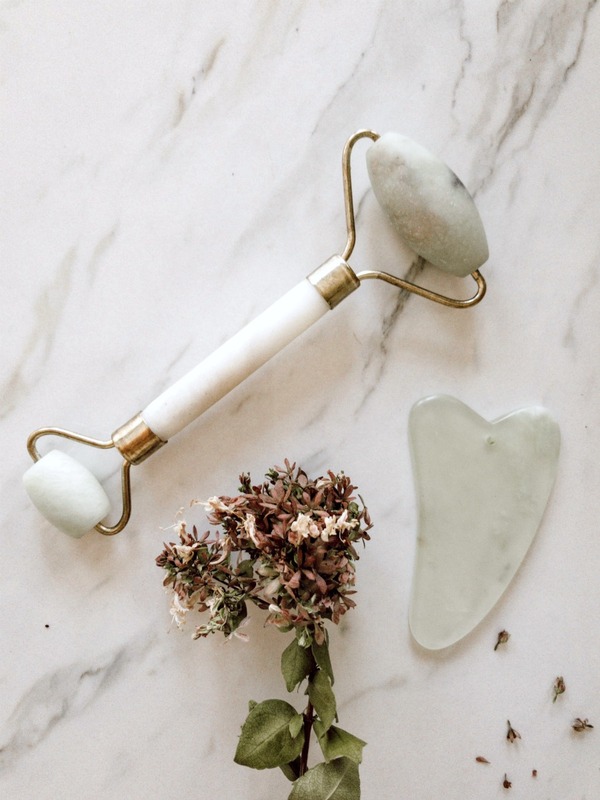 These little jade tools on Amazon are great for lymphatic drainage and supposedly collagen repair. I don’t know if I look any younger or less wrinkly as a result of using these tools, but they are very pampering, feel amazing, and help depuff bags under the eyes. They also help relieve congestion. Use them with your favorite facial oil for best results! I like to use Argan Oil. If you suffer from back and shoulder pain, this should be in your life! My back, neck, and shoulders frequently hurt and honestly it’s gotten a lot worse since I’ve increased my workouts. I’m getting old. My joints aren’t what they used to be in my 20’s! 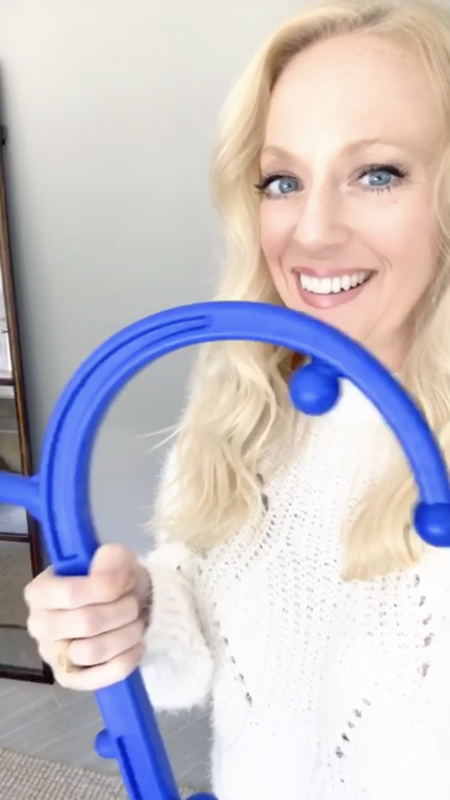 This massage tool really helps me release knotted muscles and relieve pain. Before you stick your nose up at me, I say try a pair of jeggings first! They are only $13, feel like pajamas, and look great with sweaters and boots. I own several pair, in several colors, and they are so comfy I no longer want to wear my 7 For All Mankind jeans! Loafers can be found here and cute, cheap tassel earrings on Amazon here. 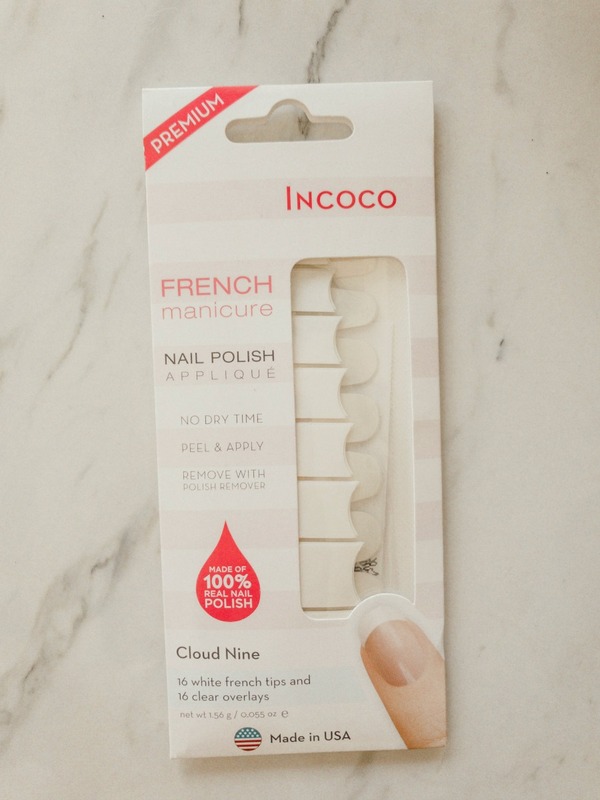 If you’ve heard of Color Street nail strips, these Incoco nail strips are exactly the same thing by the same company–only cheaper and not sold through an MLM. You can buy them directly online at Ulta and Walmart. They do not have the same designs as Color Street, but I typically prefer a more natural french manicure look. They run about $7.99 a pack and the nail polish stickers last for about 10 days or more. The solid colored strips tend to last longer on me than the french manicure. You simply stick them onto your nail like a sticker and take them off with nail polish remover! 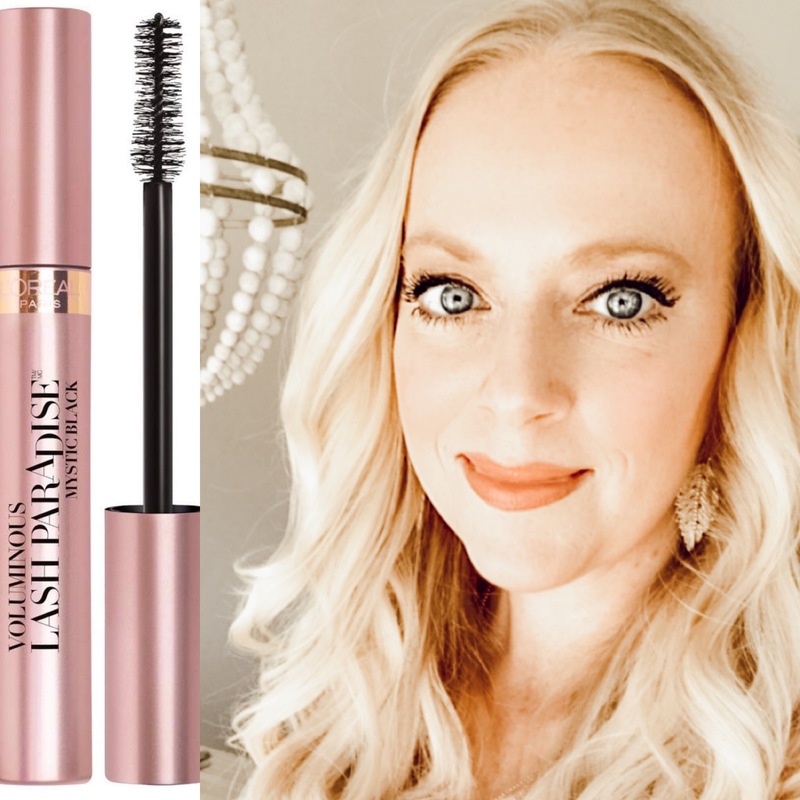 This L’Oreal Lash Paradise Mascara is hands down my favorite mascara! It lengthens, separates, and gives full coverage on my lashes. If you have short lashes or need more of a boost, then I recommend buying their lash primer as well. I hope you enjoyed shopping with me! Take a look at all of the tried, true, and blogger-tested gift guides linked below! Can I ask where you got the square box with the gold bells on it? It was on a picture in your kitchen. I have been looking for that and can’t find it. Thanks so much.